Optimism about a trade deal with China along with increasing expectations that the Federal Reserve will slow the pace of interest rate hikes buoyed the markets last week. This has led many pundits to declare that the correction is over. Some have even declared its a new bull market. In his latest podcast, Peter Schiff said that’s not what’s happening at all. What we’re seeing is a typical bear market correction and a recession is right around the corner. All day Friday, pundits on CNBC emphasized that the Dow has risen out of “correction” territory, meaning it is no longer 10% below its highs. Peter took issue with this analysis. 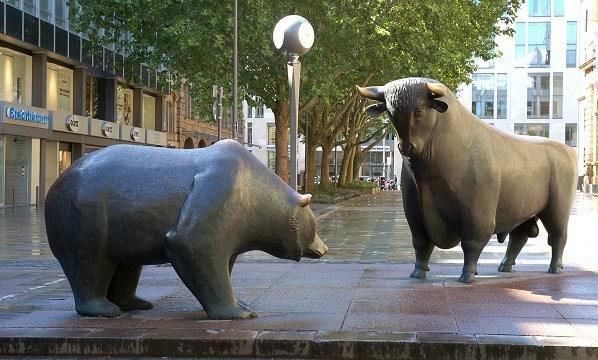 So, what is driving this bear market correction? Just like Peter predicted – the Federal Reserve. We’ve been reporting on the Powell Put, but the Fed chair isn’t alone in his dovishness. In fact, San Francisco Fed President Mary Daly said rate hikes are “on pause” last week, even though she sees no sign of a recession. Peter said they if they are pausing now, what will they do when they realize a recession really is staring them in the face? The bottom line is this economy was built on zero percent interest rates. Peter talked about the possible resolution of the trade war. He said markets can rally on the anticipation of a truce, but it will likely end up “buy the rumor sell the fact.” He said the trade deal will ultimately be a nothing-burger.